For the first time since the end of the Cold War, nearly a generation ago, Western leaders and Western media are depicting the Russian government as a menace to be contained if not subjugated. The alleged “Russian threat” springs from President Putin’s actions during and after the Maidan protests and the subsequent change in the Ukrainian government. Russia-Ukraine negotiations disrupted for a time an EU-Association Agreement. 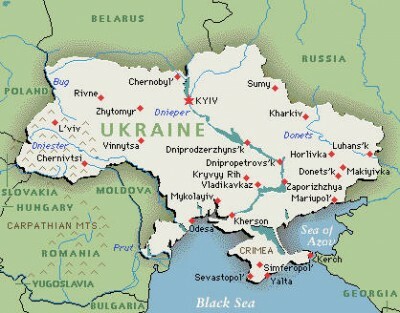 Then following the change in government in Kiev, Russia annexed Crimea in what Western leaders saw as an illegal move. Russia was accused of masterminding the resistance in the East and South of the country, and supplying rebels with powerful weapons, such as those which allegedly brought down a Malaysian airplane. Is the world witnessing the emergence of a new Cold War? On this, the premiere of the Global Research News Hour for the 2014-2015 season, we feature three perspectives on the crisis in Ukraine from a public forum in Winnipeg, Manitoba, Canada as recorded on June 18, 2014. The forum was geared toward placing the events of the last year in a geopolitical and economic context. It was advertised as a fact-based look at the forces shaping the conflict, and an attempt to formulate the best posture for Canada to adopt in order to resolve the situation. Dr. Ray Silvius – Assistant Professor, Department of Political Science, University of Winnipeg. His interests are in the realm of international and political economy, critical political economy and Russian political economy. His talk centered on the prospects for the Ukrainian economy having abandoned Russian subsidies of its natural gas and loan guarantees in favour of the EU Association agreement. Alan Freeman – Formerly an economist working with the greater London authority, and a visiting professor at the London Metropolitan University now living in Winnipeg. He is also a co-editor of the Future of Capitalism book series. His analysis focuses on the political, social and economic aspects within Russia, including the changes brought about by President Putin, the question of national integrity in a multi-ethnic Russian state, and the roots of social conservatism among the people. Dr. Radhika Desai – A faculty member and professor of Political Studies at the university of Manitoba. She is also a co-editor of the Future of Capitalism book series. A prolific author of numerous articles and books, including the upcoming book ” The Making of the Indian Capitlist Class.” Dr. Desai addresses popular myths about the collapse of the former Soviet Union, and asserts her conviction that the confrontation between US-NATO represents a continuation of the old Cold War.